The RevStream application has undergone a complete make over, making it easier for users to navigate around the platform. There are three main areas to pay close attention to: the Main Navigation Bar for easy navigation to all pages within the application, a new and improved Top Bar for quick access to support, notifications and profiles, and a clean and concise Work Area for optimal revenue contract and revenue recognition management. In our brand new Revenue Arrangement Manager (RAM) module, we’ve included an Arrangement Summary page that gives users a 360 degree view of arrangements. Now all of the information and details you’ll need is stored in one convenient place, complete with arrangement, performance obligations, deferred and revenue balances, and accounting in a single view by reporting method. Our latest RevStream functionality offers the highest level of flexibility in creating and tracking performance obligations for customers. Find preconfigured templates and assignment rules that automatically assign products and services into POBs. This new capability allows for ASC 606 compliance to manage contractual commitments and accurately record revenue. We’ve increased and enhanced our search functionality throughout the entire application. Now users can search on more valuable fields within each page to find the exact transaction, line, arrangement, or any other types of data they are looking for. Our Bookings and Revenue dashboards are designed to beautifully display snapshots of valuable insights with data that is already in the RevStream application. Now when users sign in, see booking and revenue KPIs and trends, growth rates, performance indicators, and more. And the excitement doesn’t end with that! There is so much more to RevStream 5X that makes it the most robust revenue recognition automation solution on the market. 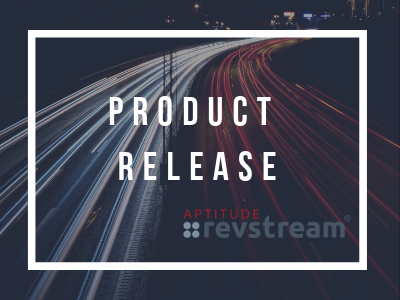 Read our press release to learn about even more new features and capabilities of our application. Come and see the full unveiling of RevStream 5X at RevConnect 2016, our annual user conference for all things revenue recognition. Register here to make sure you don’t miss out!